Why Choose Our Little Rock, AR, Dentist? Choosing a new dentist in Little Rock can be an overwhelming experience, especially when you’re looking for one who is experienced, uses cutting-edge technology, offers affordable payment options, and provides top-notch care. 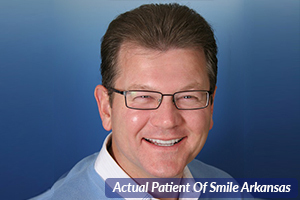 Our award-winning dentist, Dr. Wyant, knows what it takes to provide all this and more. He offers the highest quality dental care with lasting results – and a commitment to excellence and unparalleled customer service you won’t find anywhere else. Below are just some of the reasons why thousands of happy, multigenerational patients have been coming to Smile Arkansas for decades! Dr. Wyant has practiced comprehensive general, restorative and cosmetic dentistry since founding Smile Arkansas in 1982. His areas of expertise include cosmetic procedures such as no-prep veneers, porcelain crowns, bonding, whitening, gum lifts, full mouth rehabilitation, implant restoration, and Invisalign. His impeccable credentials and years of experience have allowed him to help people achieve both life-changing oral health and bright, beautiful smiles. 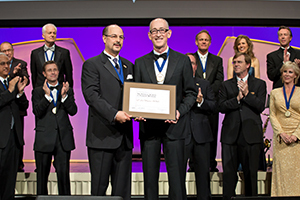 In fact, Dr. Wyant’s highest level of competency in cosmetic dentistry earned him the distinguished Accredited Fellowship from the American Academy of Cosmetic Dentistry – one of only 50 dentists worldwide and the only one in Arkansas! Patients throughout the Little Rock Metropolitan Area and beyond are thrilled to have access to world-class dentistry at Smile Arkansas. We invite you to meet Dr. Wyant by scheduling your complimentary Dr. Wyant Smile Makeover Consultation or Dr. Wyant Invisalign Smile Analysis by calling 501.821.4200 or clicking here . If you are seeking exceptional dental care from an award-winning Little Rock dentist, then you are in the right place with Smile Arkansas. Dr. Wyant and his highly trained team provide unmatched care to our patients – but don’t take our word for it! Dr. Wyant’s extensive background and training, caring approach to dentistry, and dedication to self-improvement consistently earn him both local and national recognition. Dr. Wyant was voted best cosmetic dentist by readers of the Arkansas Democrat-Gazette, Sync Magazine, as well as named in America’s Best Dentists 2017. 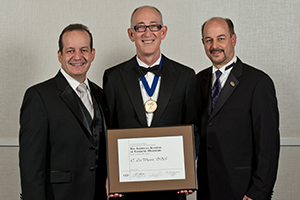 Among many other top awards received throughout his stellar career, Dr. Wyant was also featured in the Accredited Fellow Showcase of Excellence by the American Academy of Cosmetic Dentistry and won a prestigious Gold Medal in the AACD Smile Gallery. Smile Arkansas’ commitment to continuing education ensures that our patients have the very latest diagnostic, preventive, and treatment methods in the dental field. Every year, our Little Rock dentist and team members attend seminars and classes sponsored by the American Academy of Cosmetic Dentistry for advanced clinical and practice management training. We value staying abreast of any technological advances and industry innovations to ensure our patients always receive the highest quality dental care. In addition, Smile Arkansas is dedicated to providing every patient with our consistently superior, 5-star customer service and experience. That’s why our dental team attends “gold standard” education classes at the Ritz-Carlton Leadership Center. You’ll notice the difference the moment you walk through our doors! Visit Smile Arkansas for your “Ritz-Carlton” dental experience by calling 501.821.4200 or by clicking here . We can’t wait to welcome you and help you achieve your best smile! Enjoy the benefits of a beautiful, healthy smile when you join our dental family at Smile Arkansas. Dr. Wyant and our dental team welcome patients in the Little Rock area to experience excellence in comprehensive dentistry at our state-of-the-art facility. We offer general dental care, with an emphasis on specialty dentistry for our patients looking to improve their smiles through cosmetic or restorative procedures. In addition, patients appreciate that they can receive their dental AND orthodontic care in one central location. As a Premier Elite Provider of Invisalign, Dr. Wyant won’t need to refer you to an outside orthodontic office if you are interested in straightening your teeth. Your Invisalign treatment couldn’t be more easy or convenient! 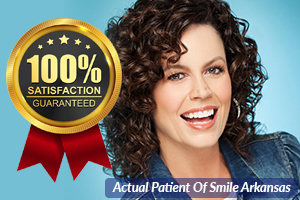 When you visit our “all-in-one” Little Rock, AR, dentist for any of our 5-star-rated treatments, we want every patient to have access to the benefits of a stunning smile. With our full range of dental services, we can perform smile makeovers that transform the beauty AND the health of your smile. Come see us at Smile Arkansas – we look forward to caring for all your oral health needs. At Smile Arkansas, our expert dentist, Dr. Wyant, and our friendly dental team are committed to providing you with your happiest, healthiest smile. As a trusted source for family dentistry in Little Rock, AR, we have transformed over 30,000 smiles since 1982. Whether you’re looking for a new dentist, want a second opinion, or are interested in improving the appearance of your smile, Smile Arkansas welcomes you! To get started, we invite you to schedule an appointment for your complimentary Dr. Wyant Smile Makeover Consultation. Dr. Wyant will review all your treatment options, and also take the time to answer any questions you may have. We are pleased to have you consider dental treatment from our team, so your comprehensive evaluation is free and carries no obligation. Call us directly at 501.821.4200 or use our convenient online form by clicking here. At Smile Arkansas, we not only want to provide the best dental health care in the Little Rock Metropolitan area and beyond – we also want you to be 100% satisfied with the care you receive. In fact, we guarantee it! If at any point in the course of treatment you feel less than completely satisfied with your care or outcome, let us know right away! Our pledge to each and every patient is that we will do whatever we can to make you happy with your experience at Smile Arkansas. That’s another Smile Arkansas difference that sets us apart from other dental practices! Our Little Rock dentist, Dr. Wyant, and our entire dental team believe in not only providing top-notch dental care but also in giving back to the local community whenever possible. One of our main goals at Smile Arkansas is to share our time and resources with Arkansas residents in need. In particular, Dr. Wyant participates in community service programs like Give Back a Smile, a program that helps restore the smile and self-confidence of victims of domestic violence, and the Arkansas Coalition Against Domestic Violence. 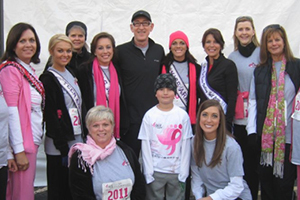 Smile Arkansas also supports many other area charitable causes, including the Harmony Clinic, Our House, Salvation Army, Arkansas Mission of Mercy, Compassion Center, Hope Rises, Big Brother/Big Sister of Central Arkansas, and the Susan B. Komen Race for the Cure. When you visit Smile Arkansas, you not only benefit directly from a caring and compassionate dentist – you can also feel good knowing that you support a local business with heart. If you’re interested in orthodontic care, we hope you’ll take advantage of our 100% complimentary Dr. Wyant Invisalign Smile Analysis. 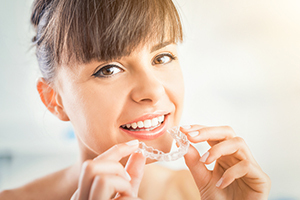 For patients considering braces but who don’t want the hassle of dealing with metal brackets and wires, Invisalign may be your perfect solution. Not only does Invisalign straighten your teeth in less time than traditional braces, but the clear aligners are also practically invisible! Invisalign is a popular choice at Smile Arkansas – especially for adults who want a beautiful smile without anyone noticing the process. In fact, the Invisalign method is so easy and convenient, even you might forget you are straightening your teeth! Our Dr. Wyant Invisalign Smile Analysis gives you the opportunity to become familiar with our dental practice as well as the patented Invisalign treatment method. This evaluative appointment includes a tour of our state-of-the-art facility, comprehensive examination, full set of x-rays, and an in-depth analysis with Dr. Wyant – a $300 value – free, with no obligation. Simply schedule your appointment today by calling 501.821.4200 or clicking here . We can’t wait to get you started on your healthy smile journey! When it comes to the health and aesthetics of your smile, having the extensive experience and skill set of an artisan like our Little Rock dentist is key. At Smile Arkansas, we have helped improve over 30,000 smiles since 1982 in the Little Rock Metropolitan Area. We’re proud to have served patients of all ages and from all walks of life, including our own state participants in global beauty pageants. As a sponsor of the Arkansas International Pageant, Smile Arkansas works with contestants for Mrs. Arkansas, Miss Arkansas, and Miss Teen Arkansas to get them ready to flash beautiful, award-winning smiles on stage. We treat every patient like a celebrity at Smile Arkansas – from the moment you are greeted by our friendly team, our spa-like environment, and our signature “Ritz-Carlton” customer service. Call today to make your appointment with Dr. Wyant, and find out for yourself why our patients love visiting Smile Arkansas! We always want you to have an exceptional experience during your visit with our Little Rock, AR, dentist but that doesn’t mean we expect you to spend all day in our dental office! Our efficient and friendly team at Smile Arkansas keeps our schedule well organized and with plenty of time allotted for every patient. That means that although you might WANT to take a relaxing nap with our popular contour neck pillows, you’ll have virtually no wait time when you arrive for your appointment with Dr. Wyant. Come experience our 5-star-rated office, where you can count on an enjoyable dental experience that puts YOUR scheduling needs first. Call 501.821.4200 or click here for an appointment today! At Smile Arkansas, we believe your complete oral health comes first, and we never want financial reasons to keep you from your healthiest smile. We keep the costs fair, plus we offer a “pay-in-full” discount. For your convenience, we also offer affordable monthly payment options through CareCredit and Lending Club. When you walk through the doors of our Little Rock dental office, you can feel confident that your dental health is our main priority. When you’re ready to experience amazing, affordable dental care with our experienced and highly skilled dentist in Little Rock, call 501.821.4200 or click here . We look forward to meeting you! As one of the premier dental practices in Arkansas, our team at Smile Arkansas also provides exceptional dental care to patients from Little Rock, Maumelle, Conway, Bryant, Benton, Cabot, Sherwood, Hot Springs, Hot Springs Village, Pine Bluff, Fayetteville, Bentonville, Rogers, Springdale, Russellville, El Dorado, and Camden, AR.